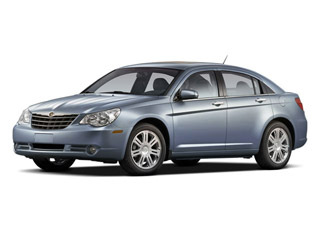 The Chrysler Sebring is in the midsized car category and is one of the most economically priced cars in its class. MSRP starts at $21,120 and fuel economy is estimated at 20 mpg city / 29 mpg highway. The 2010 Sebring offers more top options than other convertibles with vinyl, cloth or painted-steel retractable tops available. Three trims are available for 2010: the base LX, the midrange Touring and the top-of-the-line Limited. All are convertibles, while a sedan version of the Touring and the Limited is available. A soft vinyl top is standard on all convertibles but can be upgraded to a cloth top for the Touring or the Limited. A retractable hard top is available only on the Limited. All tops can be dropped using the key fob, a feature that is standard on the Limited and Touring trims and optional for the LX. The LX and both sedan trims come standard with a 2.4L 4-cylinder engine that can make 173 horsepower and 166 pound-feet of torque. The Touring convertible comes standard with a 2.7L V6 engine, capable of 186 horsepower and 192 pound-feet of torque. The Limited convertible comes equipped with a 3.5L V6 engine producing 235 horsepower and 232 pound-feet of torque. 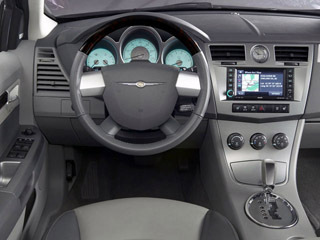 A 4-speed automatic transmission is standard on all trims, while the Limited convertible comes standard (optional on the Limited sedan) with an automatic 6-speed AutoStick transmission, for drivers who like to have more control over the shift points. The Touring convertible edition is also a FlexFuel vehicle, capable of running either gasoline or E85. All trims come standard with front wheel drive. Standard safety equipment on all Sebrings includes front and seat-mounted side multi-stage airbags (the sedans also gets side-curtain airbags), ABS 4-wheel disc brakes and a tire pressure monitoring system. 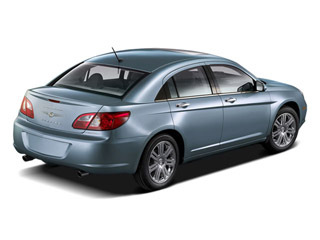 The Insurance Institute for Highway Safety deemed the 2010 Chrysler Sebring to be a Top Safety Pick. Standard equipment on the LX includes power fronts seats, driver lumber, CD changer and four floor mats. The Touring adds 17-inch aluminum wheels and power heated mirrors. 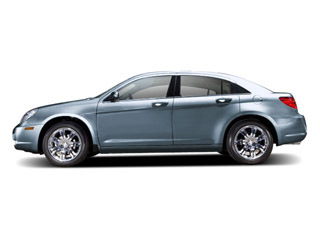 The Limited adds 18-inch chrome wheels with performance tires, climate control, an alarm system, fog lamps, premium audio with steering wheel controls, auto-off headlights, remote engine start and heated leather seats in front. Optional equipment, available mainly on the Touring and the Limited trims, includes a navigation system, wireless hookup, a hard disk drive, daytime running lights, traction control and electronic stability control. A sunroof is available on the Limited sedan. 100 Wt Distributing Hitch - Max Tongue Wt.